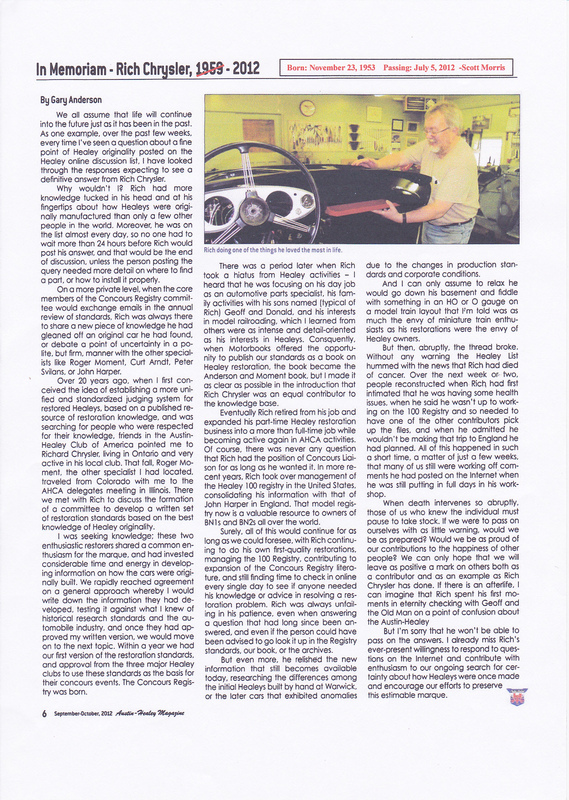 On July 5th 2012 the Healey world lost one of it`s greatest supporters and most knowledgable resource when Rich Chrysler tragically passed away after a very short illness with cancer. Rich was a founder member of the Austin Healey Club of Southern Ontario, the Austin Healey Club of America and the Concours Registry. He loved all things Healey so it`s no surprise his two sons were called Donald and Geoff. 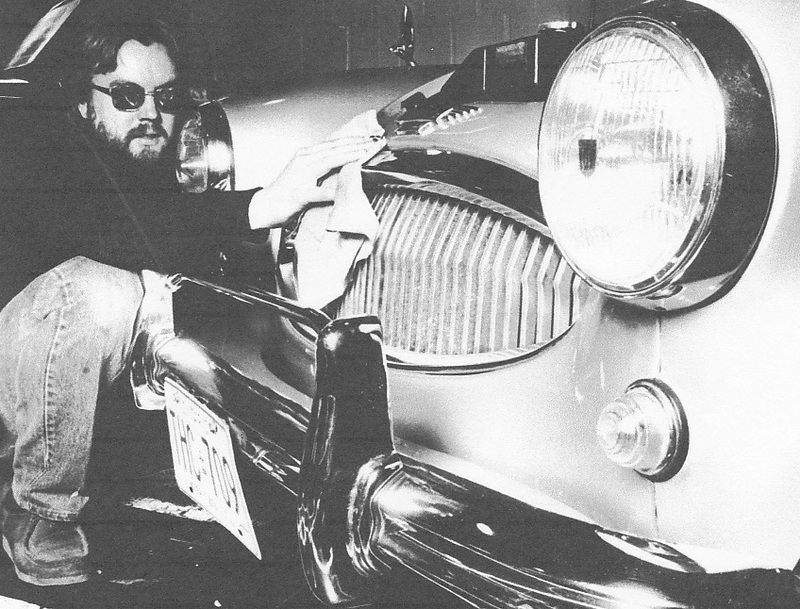 He worked on all models of Austin Healeys and obtained Gold Concours standards in just about all of them, although without doubt his favourites were the 100s. His last restoration project was a very early Longbridge BN4 and he was enjoying researching the idiosynchrocies of the model. Although he loved the Concours scene he didn`t like the name Concours as it had conotations of people cleaning the inside of exhaust pipes with a toothbrush, which definitely wasn`t Rich`s scene. He preferred the word `Originality` to describe what he was striving for. Rich was one of the first people I met after buying my Healey. It was at a Wings and Wheels show at Hamilton Airport, Ontario, my first event in my new Healey. Rich was super friendly and helpful and showed me the correct way to fold an early Longbridge top, something which I`ve never forgotten! Rich was an old school guy, a true gentleman and a great friend to all who knew him. I`ll always remember the fantastic week we had together, with Scott Morris, at the 2000 Conclave in Indianapolis. 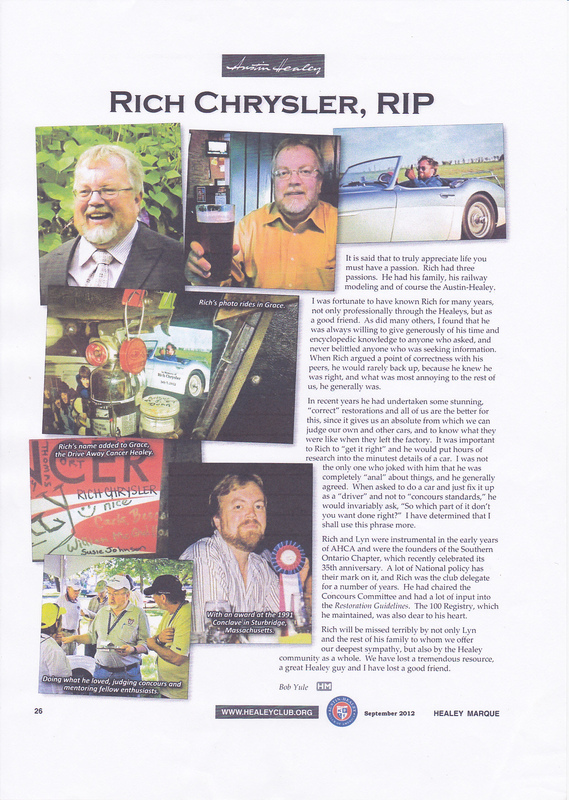 The following are two memorials to Rich written by Bob Yule of Autofarm and Gary Anderson of the Concours Registry, both well known Healeyphiles who knew Rich for many, many years.